In January, we reported on the demolition of an historical house located at 40 Ocean Avenue in Larchmont. The 120-year-old home was purchased by KOSL Building Group for $4.7 million dollars with the intent to subdivide the property into four new homes. The new plans for the property brought local residents and groups like the Larchmont Historical Society and Preserve Larchmont to bring their concerns to the Village of Larchmont Board of Trustees. The collective opposition led to the passing of a moratorium law, stating that no entity shall review, accept for review, hold a hearing, or make a decision regarding subdivision, plan approval and-or demolition permits. No almost a month later, the developers of the property have appealed the moratorium law and have requested a hearing on a waiver application at Tuesday’s Village of Larchmont municipal meeting. Their argument was that the prior to buying the property, no impediments existed to the demotion of the property. No decisions were made during the hearing regarding the granting of a waiver to the 40 Ocean Avenue developers. The full meeting and hearing is available at www.lmctv.org. The Village of Larchmont has not decided to change any current zoning laws, however, some residents like Stacy Caffrey from Preserve Larchmont, wonder if there is a case for limiting development to prevent over-stressing community services. In our Round Table discussion, Mike and Maura spoke with Mamaroneck High School’s team of reporters and campaigners, who just got back from their trip to the New Hampshire Primary. The students will talk about their experience. The Mamaroneck Ice Hockey Team scored eight goals in their season finale over White Plains High School. The most impressive goal of the night was a between-the-legs pass from Junior James Torre which made our Play of the Week. If you’d like to keep us on the air, please support by checking out our website at www.lmctv.org. We really appreciate any contribution. We’re off next week due to the Army Corps of Engineers flooding presentation airing in our time slot. We’ll be back on Thursday, March 3rd. This past Tuesday, at the New Hampshire primary for president, the winners were Donald Trump with 35% of the Republican vote and Bernie Sanders with 60% of the Democratic vote. As we had reported previously, Mamaroneck High School sent 150 students to experience the primary first-hand. There were ninety campaigners, twenty-one reporters and nine broadcasters. The primary experience was to be documented for a retrospective on the exciting. The students were tasked with engaging the crowds of supporters, as well as the candidates themselves. Student-reporter, Will Roberts was able to actually meet Marco Rubio, a man whom he declared, “the most electable candidate”. Understandably, being able to meet Rubio in person was different from merely following the candidate’s campaigns. Roberts stated that the entire experience made it feel “like you’re part of something really big”. Fellow student, Spencer Solomon praised then-candidate, Governor Chris Christie (who has since left the campaign), for exhibiting feelings of personability and a certain “guy next door” quality that separated him from other politicians in the primaries. Another student-journalist, Talia Land had her own interactions with Hillary Clinton. Land noted the high-energy and overall excitement found at one of Clinton’s last rallies before the formal primaries, giving a sign of emerging hope from the Clinton campaign despite the early reports of her low numbers in the state. Land ended her report by recounting the moment that both Hillary and Bill Clinton went into the crowd to meet supporters which was a highlight for all. The overall goal of the trip was to engage the student-journalists in a way that would transcend the theories and practices that are only read about in textbooks and provide the students with first-hand experience by the end of the journey, exposing them to a political landscape that will shape the near future in a way that they soon won’t forget. We will have the students back in our studio next week and have them share their memories and lessons learned from this once in a lifetime experience. Since we were the first ones to break the news about their trip to New Hampshire, we want to keep supporting our young journalists, broadcasters and campaigners. If you want to read their articles, you can go to their website at www.medium.com/new-hamp-2016. During the February 8th Village of Mamaroneck municipal meeting, the so-called “Dog Law” was very popular among Village residents. The public hearing lasted for a little over an hour. Members of the community, animal rights activists, pet store owners and members of the Board of Trustees passionately discussed two proposed local laws. The laws seek to protect dogs and cats from puppy mills. The laws are identified as “Proposed Local Law A-2016 and “Proposed Local Law D-2016”. Proposal “A” requires the village to regulate pet store owners and allows them to sell animals from licensed USDA breeders. Proposal “D” forbids the sale of commercially-bred dogs and only allows the sale of pets from rescue organizations. The attempt to protect dogs and cats dates back to August of 2015 when puppy mill protesters and animal rights activists rallied in front of the Mamaroneck Avenue pet store, “Best Breeds Puppies and Kittens”, whose former owner Rich Doyle faces animal cruelty charges. Board members joined the discussion and made their own comments about the process. Former Trustee, Andres Bermudez commented on Trustee David Finch’s criticism about the whole process of making the dog law. Trustee Leon Potok closed the comment section by requesting input from the community on the following questions: “how will this impact buyers of more common puppy breeds?”, “will they go to other cities in Westchester to buy mill puppies after the banning in the Village?” Potok also wondered if local buyers would accept the law and buy rescue dogs, or if rather than focusing on the seller, would it be more effective to focus on changing buyer behavior. If you’re passionate about protecting animal rights, make sure to pay attention to the public hearing on February 22nd for these two local laws. On the same day, there will also be a presentation at 7:00 p.m. from the Industrial Redevelopment Steering Committee. The chair of the committee, Andres Spatz explained more. In other news, the Village of Mamaroneck Board of Trustees unanimously passed the “Proposed Local Law C 2016” which authorizes the Village to exceed the property tax levy if necessary. There wasn’t any public input at the public hearing prior to the passing of this law. While there wasn’t any opposition to the law in the Village of Mamaroneck, this was not the case in the Village of Larchmont. Just opening a public hearing to discuss a replica of this proposal received opposition. Larchmont resident, Michael McSherry expressed concern about how high the tax levy would go up, if at all. Another highlight of of the Larchmont meeting was a presentation proposing a pilot project for the addition of bike lanes in the Village of Larchmont and the Town of Mamaroneck. The Local Live will continue to follow this story and will update you when we receive any new information. If you want to watch more from this meeting or others, you can go online to www.lmctv.org and click municipal meetings under the video tab. In our Round Table discussion, Mike and Maura spoke with Diane Lyras, from New Age Beginnings to find out more about the zodiac, astrology and Valentine’s Day. In sports this week, with Mamaroneck losing 69-56 to Gorton, Mamaroneck’s Miles Haughton amazed the crowd twice to make our play of the week. Need a romantic dinner spot for Valentine’s day? The Spice Kitchen is offering a whole lot of romance. Our pet of the week is Bo, a handsome Portuguese Water Dog who absolutely loves people and everyone loves him too. He has a lot of energy and an enthusiasm that spills over into his play. He’s a very loving dog who needs a forever home that will be committed to consistently training and helping being the best he can be. Teens and older children are preferred. He’s not suited for the city and would be best in a fenced-in property. If there are other dogs in the home, they should tolerant and willing to let Bo be the boss. Please note that only those with prior dog experience will be considered for this wonderful pup.For more information and to browse other adorable pets, go to www.ny-petrescue.org. If you’d like to keep us on the air, please support by checking out our website at www.lmctv.org. We really appreciate any contribution.We’re always looking for new interns and volunteers, so send your emails to thelocallive@lmctv.org and join us. We love hearing from you. This past November, Save the Sound, Long Island Soundkeeper International and Atlantic Clam Farms of Connecticut filed a civil lawsuit against Westchester County and eleven local municipalities including the Village of Mamaroneck and the Village of Larchmont. The lawsuit was issued in response to the abundance of pollution, lack of maintenance and overall sanitary concerns surrounding waste in local waterways, which allegedly violates the Federal Clean Water Act of 1972. At the Town of Mamaroneck Board Meeting on January 20th, Steve Altieri, the Town Administrator released the details of the lawsuit. The Board voted unanimously for the engagement of the Town of Mamaroneck, the Village of Larchmont, the Village of Pelham Manor and the city of New Rochelle, who will all be represented by the Wilson, Elser and Moskowitz Law Firm. The Village of Mamaroneck was not included in the joint effort from our neighboring communities. The Local Live reached out to the Village Attorney, Charles Goldberger via a phone interview. He stated that his firm, McCullough, Goldberger & Staudt is reviewing the case and that they will not be joining efforts with the other communities listed in the lawsuit, because the the Village has different issues than the others. Roger Reynolds, the legal director of Save the Sound told The Local Live that they expect to receive an answer by late May. We will be following this story very closely and will keep you posted with all developments. Previously, The Local Live reported on the attempt to draw up a dog breeding law in the Village of Mamaroneck after an instance of alleged animal cruelty by Richard Doyle, the former owner of “Best Breeds, Puppies and Kittens”. The proposed law, if enacted, will regulate pet stores to make sure that the animals in the facility are properly cared for. Law “A-2016” is available on the Village of Mamaroneck website on the “Proposed Local Laws” page. Even the community has shown support for the law, it was not passed in recent public hearings. The Board, however, was confident that they will be able to agree on a decision by the end of the next meeting on February 6th. As previously discussed on The Local Live, the issue of parking on Mamaroneck Avenue is an ongoing one and that the discussion has gone beyond board meetings and public hearings to letters to the editor of The Mamaroneck Review. Board of Trustee and Parking Advisory Committee Member, Leon Potok, recently wrote to The Mamaroneck Review in an attempt to “clear the air’ on what he feels is a misinformed situation regarding parking. In the letter, Potok began by stating that while there has been talk of the Board overruling a proposed pilot program form the committee, no such recommendation was actually made, therefore no overruling. In closing, he stated that the Board has plans to begin a trial run of both single-space and multi-space meters on Mamaroneck Avenue that would benefit the Village by providing data such as cost, reliability and customer feedback. A week later, the Chairwoman of the Village Mamaroneck Ad Hoc Parking Committee wrote to The Mamaroneck herself to fire back at Potok’s claims, stating that there was indeed a recommendation by the committee despite his report. The recommendation was to reprogram the already-purchased multi-space into pay-by-space meters in the parking lots off Mamaroneck Avenue. It was only at the end of the meeting that the use of multi-space meters having a trial run was discussed and explored at a later meeting. In our roundtable discussion, Maura Carlin spoke with Lisa Schuman, a Psychotherapist and Director of The Center of Family Building and Tobi Kundid, Director and Owner of Tovami Yoga Studio. During their discussion they spoke on the infamous winter blues and it’s affect on society and various ways to battle it. In sports this week, the Mamaroneck Ice Hockey team was down by one goal to Pelham. In the second period, Will Kirk scored to tie the in our play of the week. On February 6th, MHS teachers, Joe Liberti, Evan Madin and Emily Dombroff will taking students to New Hampshire in an effort to teach the students of the importance of getting involved in their government in order to make changes and improvements. Congratulations to Mamaroneck High School for fostering an interest in their students for our country’s futures. You can tweet for updates via @MAMK_NH16. Our pet of the week is Perry, a handsome one-year-old male Tabby cat, who was rescued from the streets. This big lug is a gentle boy, and is quiet and well-mannered. He loves the company of other cats and is currently in a foster home with other cats, dogs and kids too, proving he’s comfortable in a busy home. For more information and to browse other adorable pets, go to www.ny-petrescue.org. 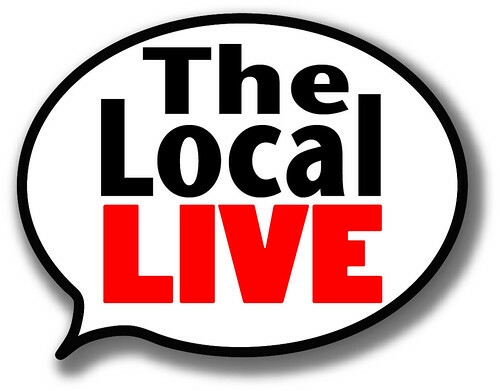 Remember, if you’d like to keep us on the air, support us by checking out our website at www.lmctv.org. We really appreciate any contribution. We’re always looking for new interns and volunteers, so please send your emails to thelocallive@lmctv.org and join us. We love hearing from you! Here in our roundtable discussion we have Maura Carlin speaking with Tobi Kundid and Lisa Schuman discussing the affect that the winter blues has had on society and possible steps to help battle it.